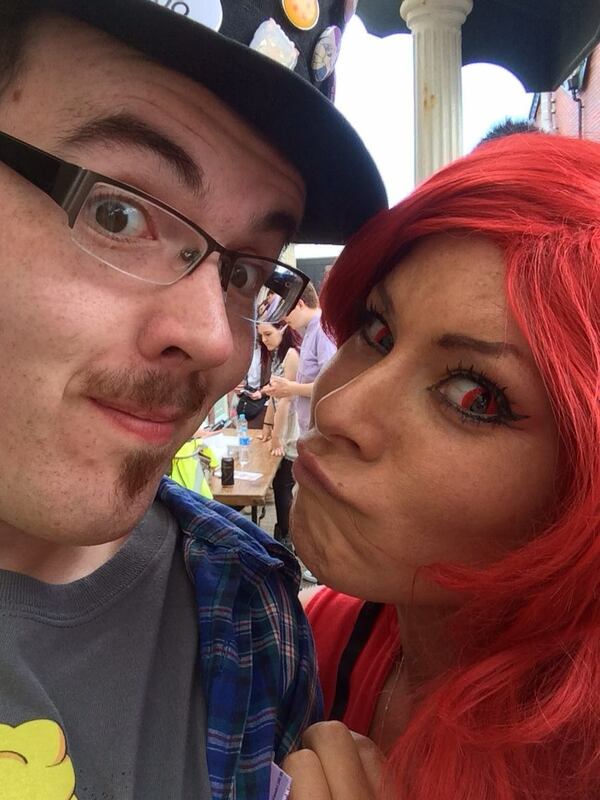 It’s that time again for my con schedule and the jaunt up north to join the fine people of Sunderland for the city’s newest and most impressive events – Sunnycon. 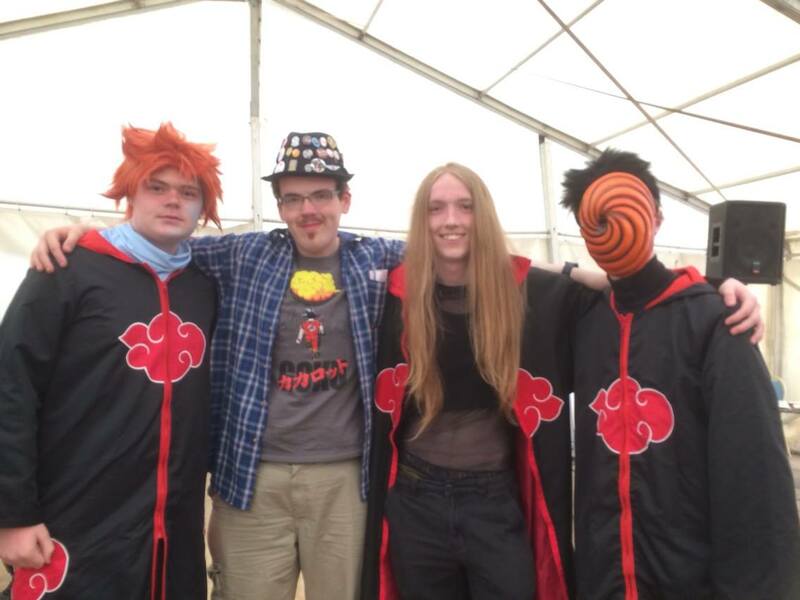 Started in 2012, the event started by Michael Tuckwell and Donna Yeoman has become the UK’s fastest growing anime convention with over two thousand attendees in just three years. That puts it up there with the premiere anime events in the country that are dedicated to the genre. 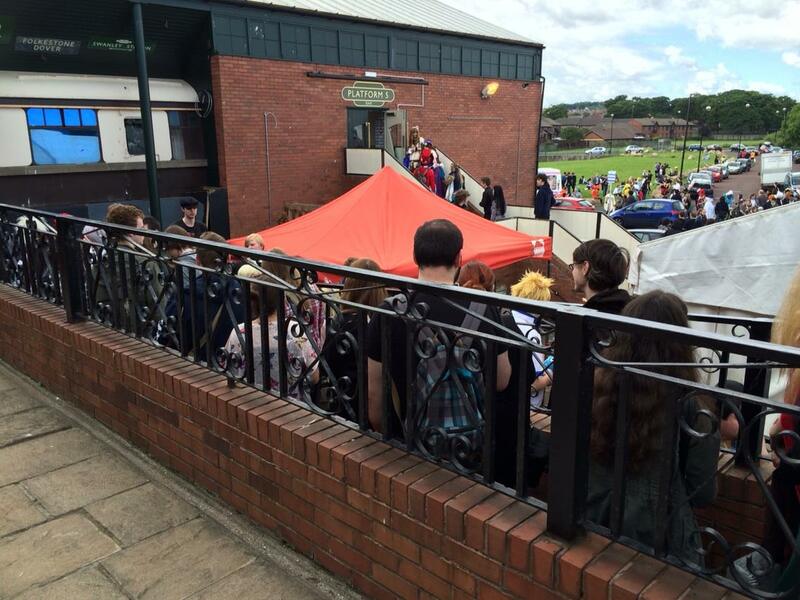 But there’s more to Sunnycon’s success than just numbers; it’s all to do with the atmosphere. It’s probably one of the most family-friendly conventions I’ve been to. It all adds to the charm that this con has and why I love going back every year. The last two years had meant me flying to Newcastle Airport, but since I had business in Cambridge with my girlfriend, we chose to drive up instead. After our long journey, we were greeted by the regular staffers Tucky, Donna and Rachel and it felt like we had never left. Along with them, I was introduced to Kat and Fiona, two of the other senior members of staff who showed us to our room in the Pullman Hotel (which was hosting the event this year, opposite the Seaburn Centre that hosted Sunnycon last year). The Pullman is a hotel and function complex themed on trains with actual carriages as the centrepiece, which are used as tearooms. It is a little tired in places but we heard that Sunnycon was one of the last events before the place was refurbished with the carriages getting the first lick of fresh paint. Despite the tired feel, the Pullman’s main ballroom was spectacular in its classic appeal and ornate decorations. On top of the indoor spaces, the convention had set up two connecting marquees to fill a stage, a gaming area and a dealer’s hall. It fitted the style of the con which it had established in the previous years which was nice to see be carried over. The dealer space had a great range of handcrafted items and industry standard outlets meaning that people of all tastes and fandoms were catered for. The gaming space was decent with consoles from various generations being represented as well as normal snacks being offered to anyone who wished to keep to the marquee. The main drawback though was that it did get hot with hundreds of people inside, but this was the middle of June so that would be understandable. Luckily, there were three main exits and numerous gaps in the wall for people to escape and cool off which was thoughtful of the staff to consider. If you wanted a break, you are right by the sea and a nice, long beach to walk on as well as many British seaside attractions and amusements which only added to the character and charm! For a fifteen pound ticket, you certainly get your money’s worth! The other main guests that attended were Quinton Flynn [the voice of Iruka from Naruto and Raiden from Metal Gear] and J. Michael Tatum [Sebastian from Black Butler and other anime] as well as the guys from K&K Productions [the makers of the Dragonball Z live-action productions]. The K&K chaps were very friendly and we in fact got talking about DBZ as well as talking about life and stuff! The biggest surprise came during the Saturday after party when a girl introduced me to Quinton and told him what I did online…I was stunned and nervous about how he would take it, but he was pretty curious about it and listened to my basic summary with enthusiasm. He was a nice guy! Another thing that added to the family friendly/carnival-like atmosphere was the addition of a mascot which ventured around the con floor entertaining the crowd. Sunny [or Kimmy when she’s not dressed up!] bounced around like the cat-girl she was which was great for the little girls who had come along with their parents. It made the con feel like an amusement park which is just the kind of thing you want on a warm summer weekend; something different from what you normally see. It was great to see such a creative use of a con’s mascot! When it came to my panel on the Sunday, it went by without a hitch. About forty to fifty people attended the hour-long panel and we got into a nice and friendly discussion about Dragonball Z Abridged and the rest of my creative endeavours. It’s always nice to hear positive feedback about my other works and the attendees seemed educated about the stuff and wished to chat with me more after the panel which was fine by me! Other hosting duties included introducing Quinton Flynn for his Q&A panel as well as doing some song requests prior to his panel. The standout event though was the Charity Auction on the Sunday. 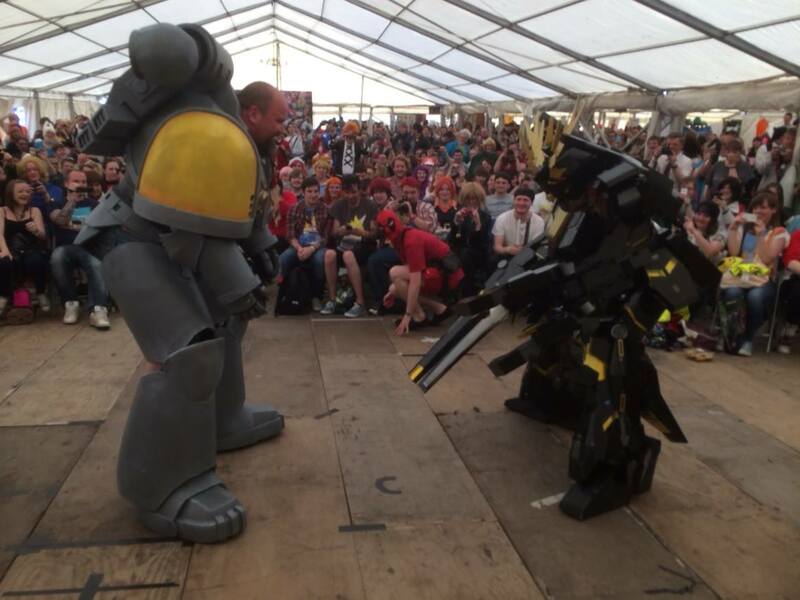 What started off like a normal auction soon became an intense, hilarious and insane battle between two armour-clad cosplayers [one a space marine and the other a Banshee Gundam] for the rights to a huge Vegeta plushie. Need I mention that the person that instigated this was dressed as Deadpool? What a scamp! Ed the Otaku [the awesome lead compere for the weekend] and myself watched in sheer bemusement as the two cumbersome frames went at it and can categorically say that this is something that you only see at anime conventions. A classic moment that will stay with me for the rest of my life! If you’re in England and want to find a great convention to start out your anime adventure, Sunnycon is the place to go. It has the kindest anime staff, the best idea of what makes a friendly event run smoothly as well as top-rate guests and activities! It’ll be back again next year and I can certainly imagine myself driving up to join the festivities once again! Sunny and I being classic selfie-ists. Some delightful chaps were very keen to meet me and we had a cool chat! 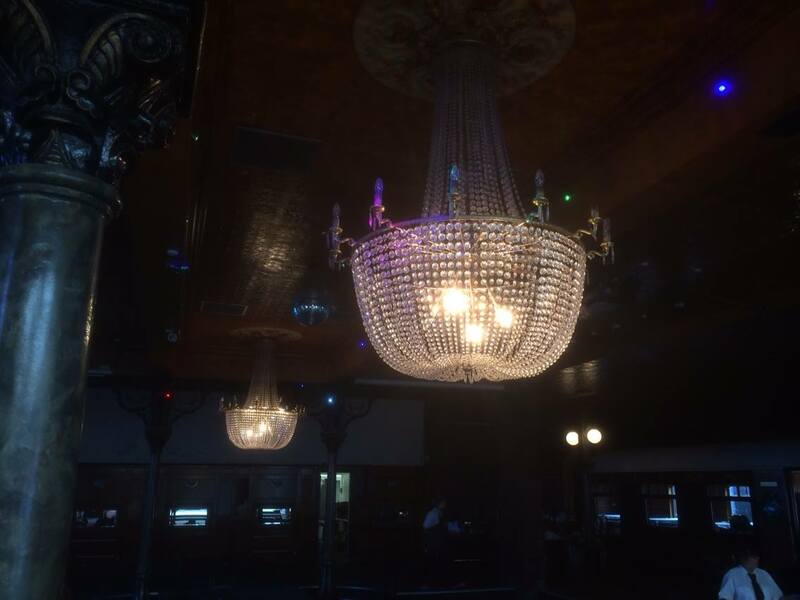 The colourful chandeliers of the main ballroom were beautiful to see. The Pullman – the venue of Sunnycon. Donna and Fiona shaved their heads for the Little Princess Trust and donated their hair to make wigs for young children.